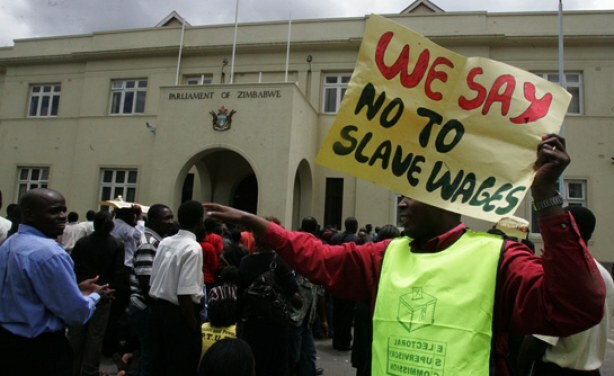 PUBLIC workers in Zimbabwe have rejected an improved salary offer of 15 percent from President Emmerson Mnangagwa’s government. The main public sector union said on Tuesday that they want wages for the lowest paid employees to more than double. The government agreed last week to raise salaries by 10 percent for the army, police and other civil servants from July, when Zimbabwe is expected to hold its first general election since Robert Mugabe left power last year. Apex Council said the government’s higher offer on Monday was still below the poverty datum line (PDL) used to assess whether a person is deemed poor. Zimbabwe’s PDL is $591, while the lowest government worker earns $253 a month. The southern African nation already spends more than 90 percent of its national budget on salaries and pensions, but Mnangagwa is trying hard to curb strikes by public workers before the elections, whose date he is yet to announce. The new president, who came to power following a de facto army coup against 94-year-old Mugabe in November, has already faced public sector anger when doctors and nurses went on strike in March and April.